Mom's Musings: Family Movie Nights brought to you by Disney!! Family Movie Nights brought to you by Disney!! We have spent a lot of time as a family watching movies at home. It is a fun night for us all and we enjoy spending time together. We can't always afford to go out to the theater and watch the latest movies, but my kids have been enjoying some of the newer ones and even some classics, and I love that they are interested in movies that I have loved watching since I was a child! When Mickey's Christmas Carol arrived, we put it in right away. It was just me and Faith, and she was mesmerized by it! We have watched this one over and over again. It has become a huge hit with my kids. I love that there are restored classic holiday shorts too! What a great way to bring some of my childhood to my kids! This is a must for under the tree (or even before Christmas) to bring your family some nostalgic fun together! Make the season merry as Mickey, Goofy, Donald and all their pals star in a heartwarming retelling of Dickens’ unforgettable holiday tale. Ebenezer Scrooge (Scrooge McDuck) is far too greedy to understand that Christmas is a time for kindness and generosity. 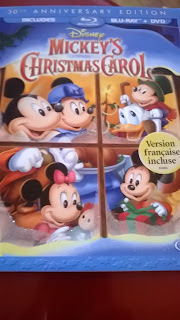 But with the guidance of some wise ghosts (Goofy and Jiminy Cricket) and a bunch of newfound friends, Scrooge learns to embrace the spirit of the season. Share this wonderful holiday treat with the whole family! 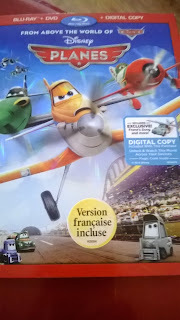 We weren't able to make it to the theater to watch Planes, and I know my kids will love it! 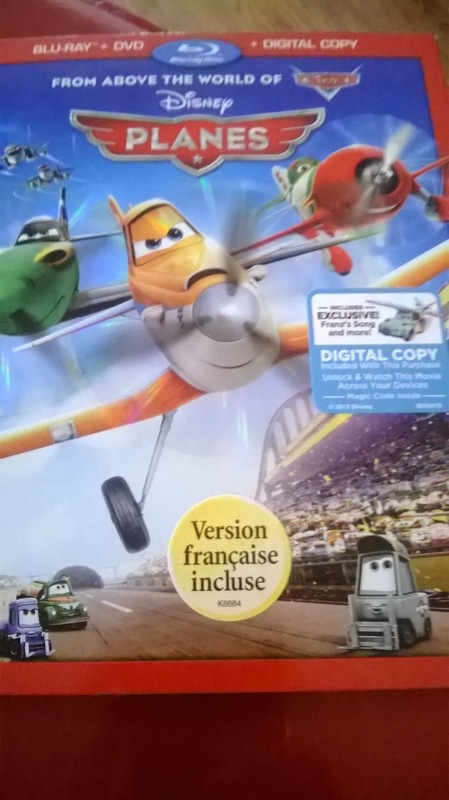 We have watched Cars over and over again, so this is sure to win their hearts as well. I am saving this one for Christmas morning under the tree...and I know it will be something that we watch over the holidays a lot!! My 15 year old has fallen in love with The Little Mermaid movie. So, when this was offered, I knew I had to get it for her! I tried to save it until Christmas morning for her, but I was so excited that it didn't take long before we opened it and watched it. It is still in our machine, and regularly gets put on. All my girls love these stories and I love that they walk around the house singing all the songs...and I catch myself humming along with them!! 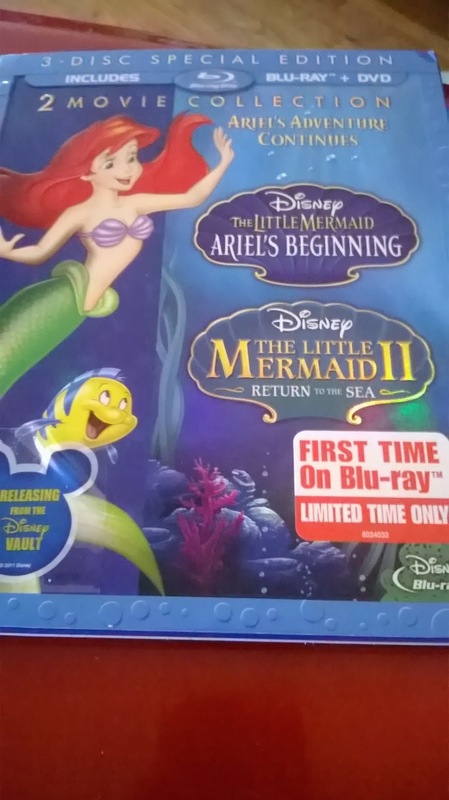 All of your favorite characters from The Little Mermaid continue their adventures in this enchanting sequel to one of the most celebrated animated films of all time. Even though her parents tell her merpeople and Atlantica are just “old fish tales,” Ariel’s daughter, Melody, dreams of being part of that magical world. In an unforgettable story that will take your breath away, all the good creatures on the land and under the sea must join forces to show Melody that both her worlds can live in perfect harmony. The Little Mermaid: Ariel’s BeginningOne of Disney’s most beloved characters reveals the extraordinary events that led up to her transformation into a princess! Long before Ariel walked on land and into Prince Eric’s heart, she was one of seven beloved daughters of powerful King Triton. But times were troubled in the underwater kingdom – and music was banned! In this magical adventure, Ariel, her fun-loving sisters, and her loyal friends Sebastian and Flounder strive to bring music and friendship back to Atlantica. Featuring breathtaking animation – and some thrilling surprises – The Little Mermaid: Ariel’s Beginning is an enchanting tale you’ll share with your family again and again! I love how these movies can bring us all together and we can enjoy them either for the first time or (in my case) enjoy them again through my childrens eyes!! Make sure you pick these up as a great gift for your whole family this year!! Disclosure: I received these movies to review, all opinions on this blog are my own. What cute films! My gang would definitely enjoy these! We love a good movie night. This time of year I enjoy watching all the old Christmas movies again.